Each shortmat carpet is available in sizes 30ft (9.14 meters) by 6ft (1.83 meters) and 45ft (13.72 meters) by 6ft (1.83 meters) Designed with the Short Mat Players Tour, this mat is to be used on indoor bowls club surfaces (Mat on Mat) and other carpeted floors. The Greengauge Woven Deluxe mat is manufactured using a woven surface with a felt backed ultra-lightweight 8mm foam. The Greengauge Club NP mat is manufactured using a needle punched surface with a felt backed ultra-lightweight 8mm foam. The Greengauge Tour NP mat is manufactured using a needle punched surface backed by a lightweight high density gel foam. 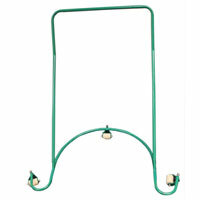 This mat is also available in larger lengths up to 42m and up to 4m in width. Please contact us directly for quotes on larger mats. 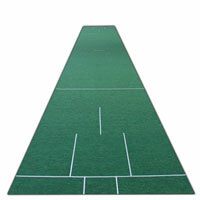 The Greengauge Club NP Short Mat has been designed to provide a medium speed bowling surface. The mat is available in Green only. The Greengauge Tour NP Short Mat has been designed to provide medium to fast speed bowling surface. 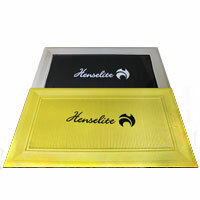 The mat is available in Green only. Both of the Greengauge Bowling Surfaces have been tested by World Class International Short Mat Bowlers and were described as providing “The perfect playing oppurtunity for Short Mat Bowlers”. Designed with the Short Mat Players Tour, this mat is to be used on indoor bowls club surfaces (Mat on Mat) and other carpeted floors. 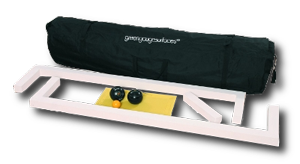 Greengauge Portable Bowling Surfaces are designed to be easy to transport or store, enabling you to move them from location to location with ease. Portable Bowling Surfaces allow their users to play bowls on the go, no matter what the weather outside. We offer a 12 month manufacturing warranty period from date of purchase on all our Short Mats.